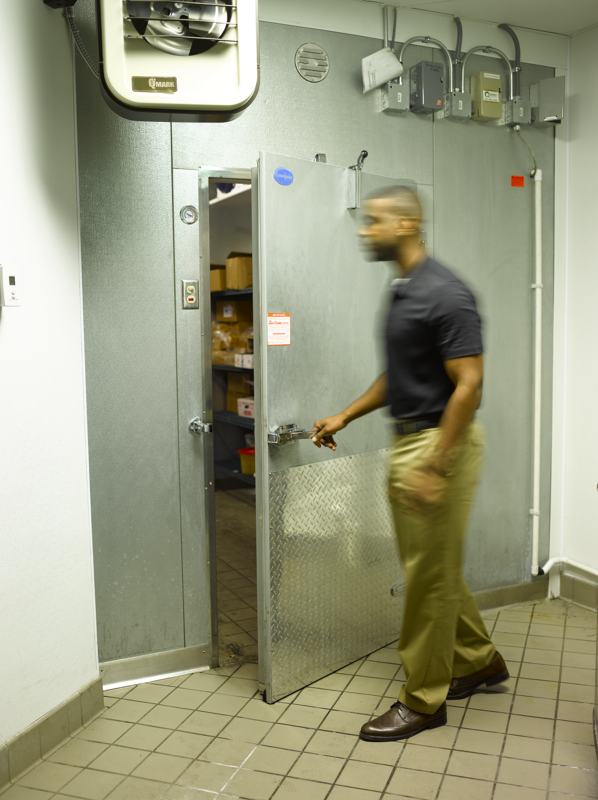 How many times a day does your walk-in cooler or freezer door open and close? Five? Twenty? One hundred? The number is probably higher than you realize. And although it’s built to be durable and withstand frequent use, the door eventually wears out and needs to be replaced. If you notice that your door is showing any of these signs, you should work quickly to find a replacement. The truth is, a damaged and ill-fitting door can be harmful to your bottom line in more ways than one. Take a look at some of the drawbacks below. 1. It can compromise efficiency. The primary source of freezer and cooler leaks is the walk-in door. Air leaks cause the entire refrigeration system to work harder in order to maintain appropriate temperatures and consistent humidity levels. All that extra work is sure to affect both energy efficiency and your budget. 2. It promotes the growth of harmful bacteria. Air leaks don’t just make your walk-in work harder; they also risk the safety of the food that’s stored inside. If food is not kept at the proper cooling temperatures, it can begin to grow harmful bacteria on its surface. If food safety is jeopardized from a faulty door, you could be facing a health department violation. 3. It could present a safety hazard. Compromised humidity levels from damaged or ill-fitting doors can also be a serious concern for employee safety. If additional moisture is present in the walk-in, it can pool onto the floor and cause employees to slip and fall. In a walk-in freezer, that moisture turns into frost buildup, bringing similar safety hazards. 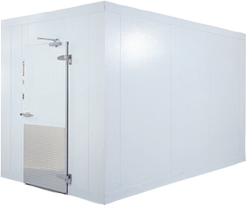 If you’re looking to replace your walk-in cooler or freezer door, look no further. At Everidge, we provide replacement doors to fit any walk-in make or model. Our doors seal around the inside and outside of the opening, like a sandwich, to provide the optimal solution for preserving the hard work your walk-in does to stay cool. If your walk-in is in desperate need of a new door, be sure to check out our replacement door service offerings or call 800.333.5653 to speak with our experts.